The leading high quality, full spectrum probiotic supplement. 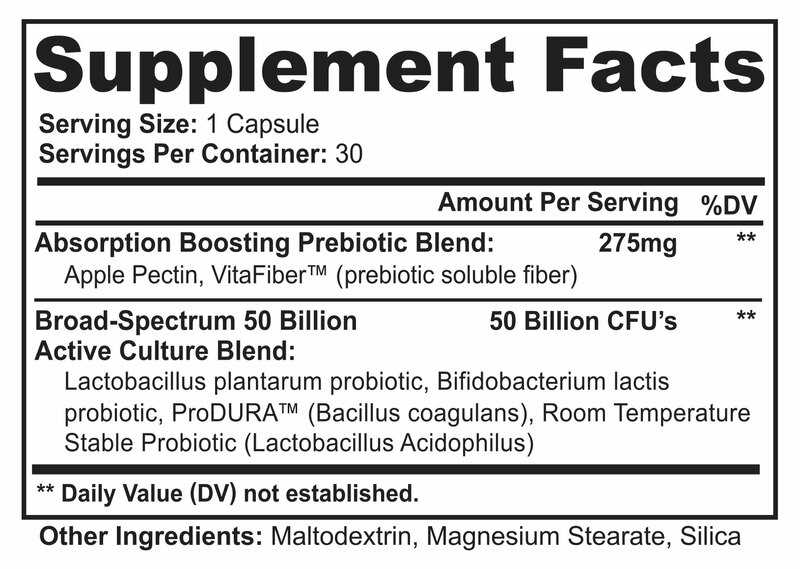 Active Balance Probiotic is a full-spectrum, pharmaceutical grade formula containing 50 billion active cultures. Active Balance improves digestive function and restores digestive balance as well as supporting a healthy immune system and strengthening your body's natural defenses. Give your body the balance it needs to perform its best. Probiotics help balance good and bad microorganisms in your system to achieve greater health and well-being. From digestive issues to boosting your immune system, probiotics introduce beneficial bacteria and eliminate the ones which might cause us problems. Probiotics help to restore and maintain a healthy balance in your intestines and improve your absorption of essential nutrition. Probiotics have been shown to support other functions such as lactose digestion, relieving diarrhea, irritable bowel syndrome, benefit the health of your skin, boost energy, improve sleep and boosting metabolism to enhance weight loss. Active Balance provides a high potency formula with a superior probiotic balance that helps to maximize your body's digestive function as well as a number of health benefits. Produced using strict cGMP standards (current Good Manufacturing Practices) in FDA certified facilities, Active Balance's high potency, all-natural formula is the top choice in terms of quality among probiotics brands. Daily Use: Take one (1) capsule in the morning on an empty stomach, with a full glass of water. For Enhanced Benefits: Take a second capsule before the last meal of the day. Species Nutrition Fiberlyze 2-Fer Deal!